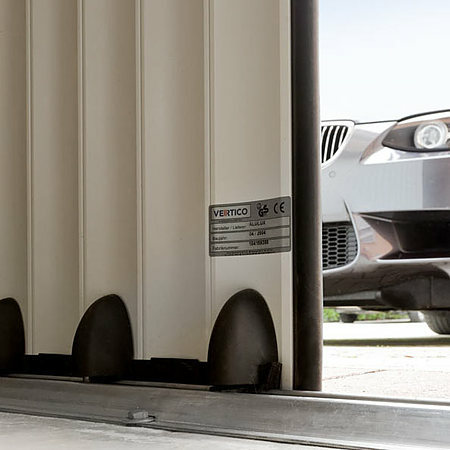 Vertico is the adaptable aluminium garage door with ultimate flexibility of use. 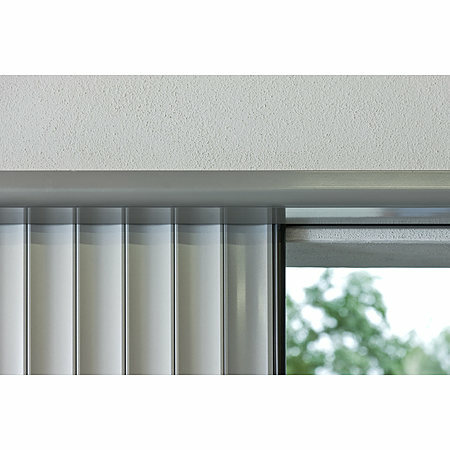 It adjusts to virtually any structural conditions and even copes with very large garages with a double-door design. 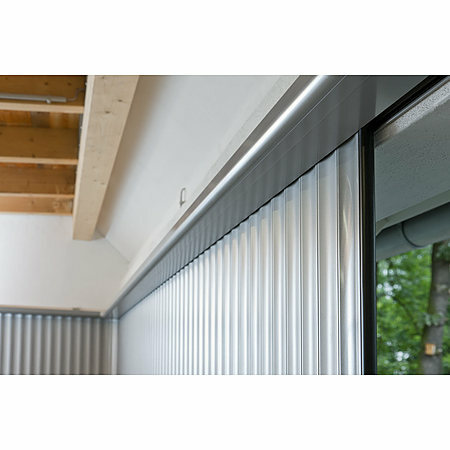 As a single lateral-running door, it only takes up one garage wall. The garage ceiling and the other walls are left free. 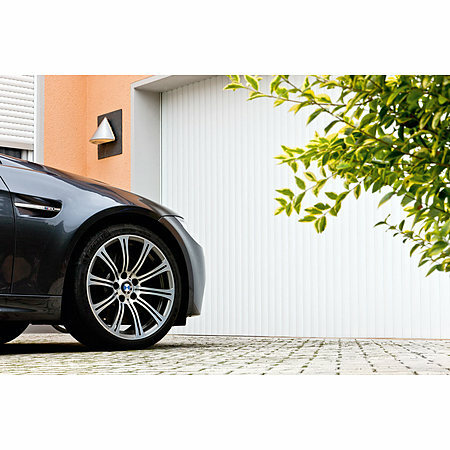 The two programmable openings (door and gate effect) allow you to open your garage door only halfway if you wish, for example, by radio control.